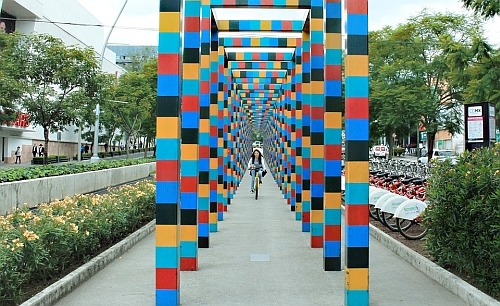 Delta has dropped the price of their flights from Victoria to Mexico City down to $310 CAD roundtrip including taxes. The flights have 1 stop each way, in Seattle. 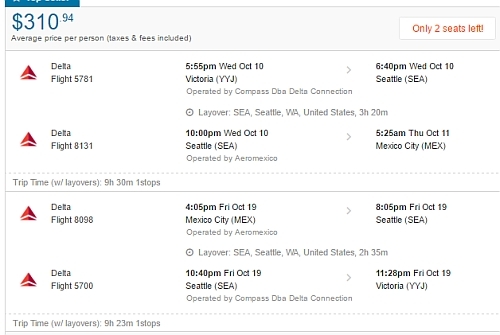 From Vancouver, you are still better off with non-stop flights on Aeromexico (which are currently around $380). TIP: After your Flighthub search completes, click on 'Flexible Dates' to see more dates for $310 CAD roundtrip. mexico, flight deals, mexico city, mex, delta, victoria, yyj and north america.